You either LOVE or hate mayonnaise. I personally LOVE it. I can probably thank my dad for this. I grew up eating mayo sandwiches (I know… not good), mayo in my peas from our garden, and mayo in my mashed potatoes! I prefer mayo over ketchup ANY day of the week. It is IMPOSSIBLE to find healthy and good tasting mayo in the store, but making your own mayo is EASY if you have the right tools. I have found that it is NOT the recipe that is usually flawed but the technique or tool that you use. About this recipe:UPDATE: The Immersion Blender method is SOOOOOO EASY!! Check out my video here on YouTube: Magical 1-Minute Mason Jar Mayonnaise! Some people have had great success with also using a blender or immersion blender, and I have PERFECT mayo every time with both! I have also kept this recipe SIMPLE! Some of my recipes call for just the yolk or just the white for different reasons. I wanted a mayo that I didn’t have to use just the yolk, and this recipe works GREAT with the whole egg! NOTE: Be sure to use eggs from a healthy, trusted source. Most people worry about raw eggs, but there is no need to worry if you purchase pastured (NOT pasteurized) eggs from a local farmer whose chickens freely roam, eat off of the land and are well-cared for. There are MANY more cases of salmonella from processed, cooked foods than from using pastured, raw eggs. Just a thought. So either way you make it, using an Immersion Blender or a KitchenAid Food Processor , it’s so easy and SO good! For the food processor, there is a tiny hole in the apparatus that presses the food down that allows you to pour your oil in, and then it drizzles out! Hands Free Mayo! Before using my food processor, I had MANY failed attempts at mayo but this method using the food processor is fool-proof! Don’t have a food processor or immersion blender?? Check out this Manual Food Processor. This is how your grandmother would have made mayo (just not as fancy). 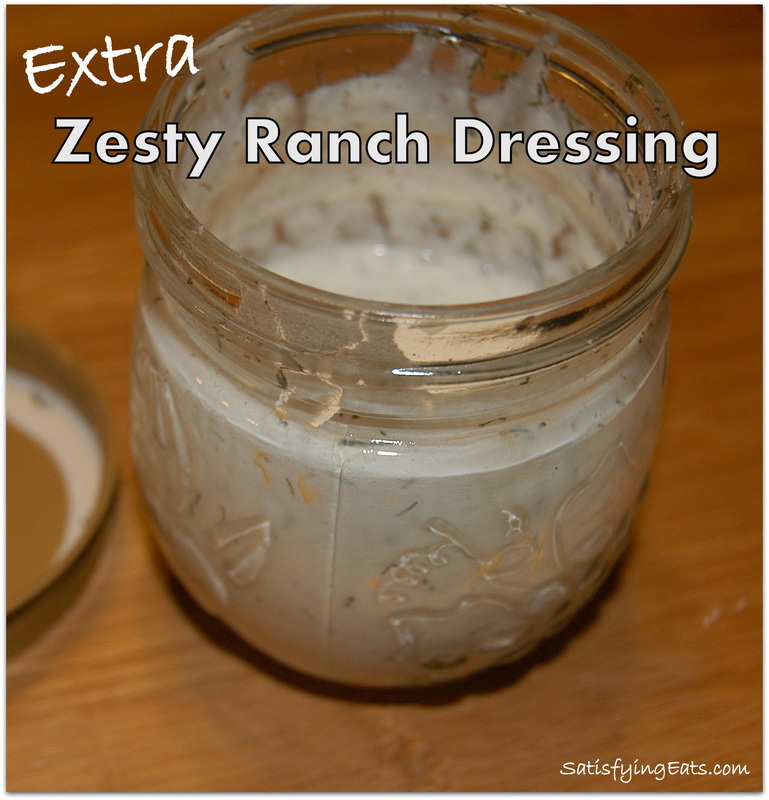 First of all, homemade Mayo taste SO MUCH better than the stuff in the store, at least this recipe does. More importantly, traditional mayo that you buy in the store is made with soybean or canola oil, which is a big NO-NO! Vegetable oils have been glorified as healthy for years now, while saturated fat has been given the boot. This is the furthest thing from the truth! Canola oil has been one of the BIGGEST Marketing Lies. It is being pushed down our throats as healthy and this IS NOT TRUE. Even Whole Foods uses it in all of their prepared foods! :’-( Maybe I should send them my recipe!! Canola, corn and other vegetable oils are usually made from GMOs. These oils are HIGHLY processed, unlike Virgin Coconut oil, butter and the real deal, lard. Vegetable oils contain HIGH amounts of Omega 6, throwing off the Omega 6 : Omega 3 ratio which should be 1:1. Veggie oils should not be used in cooking due to high heat causing the oil to oxidize. Vegetable oils contain high levels of polyunsaturated fats that oxidize in our bodies, which can lead to inflammation and clogged arteries. For More Information, see: Wellness Mama, Authority Nutrition, Chris Kresser, Dr. Mercola It’s not Saturated Fats we should be worried about consuming in our diets, but these Deceitful vegetable oils that are hidden in MOST, if not ALL, of our processed foods! Please let me see your Homemade Mayo pictures in the comments below! Immersion blender: Add eggs, vinegar, salt, mustard and oil into a WIDE mouth quart Mason jar. Add immersion blender and blend. Move immersion blender up as mayo forms at the bottom. Mayo is ready once all of the oil has been incorporated. Takes about 30-45 seconds! 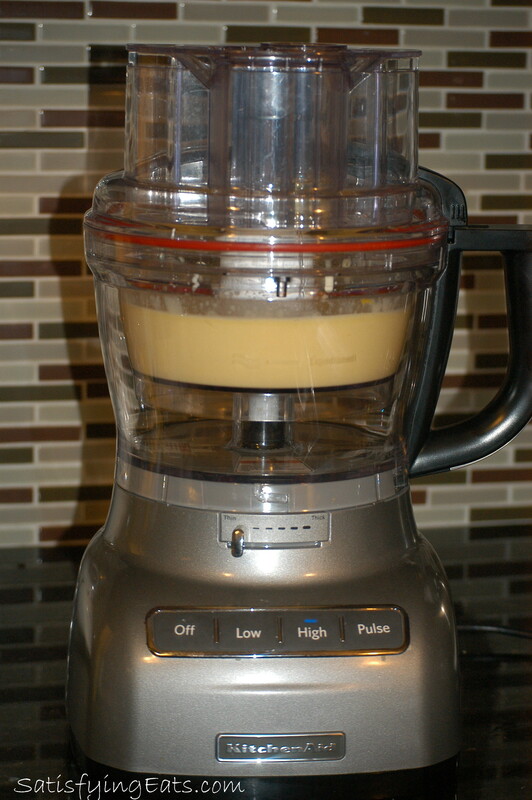 Food processor: Blend eggs, vinegar, salt, and mustard in food processor. While machine is running, slowly add oil, VERY SLOWLY!! Continue until all of the oil has been added and the eggs and oil have formed an emulsion or Mayonnaise. Taste for salt and adjust if needed. Takes about 6-8 minutes. Store in refrigerator for up to 2 weeks. Some people use mayonnaise on sandwiches, in recipes and even dip their fries in it. How do you like your mayonnaise the best? Not a mayo fan because of the oil issues but when I do, I want it on bread with white pepper and black lava salt. You left out the mustard in the instructions. When are you supposed to add that? Alima, sorry. You add mustard with the eggs, salt and vinegar. Thanks for catching that! What’s prepared mustard is it dry mustard? Cheryl, the yellow mustard in your fridge. Some recipes call for dry but not everyone has it hope this helps. Melissa, I poured my olive oil super slowly. How long does it take to emulsify? It seems runny! 🙁 bummer – had to toss it. It didn’t even taste right. I had farm fresh eggs, and the dry mustard. It was wicked runny. It’s the 2nd time I’ve tried to make it and it doesn’t come out. What am I doing wrong? UGH I have a Cuisinart process so, it’s not the equipment, it’s the preparer! LOL I’ll give it one more shot next week. Not to mention, mine was super yellow too! Back in the old days when I made homemade mayo, I always thought that the eggs had to be separated, and only the yokes were used. Otherwise the result was runny. Try making it without the egg whites. I have had many failed attempts at mayo. The best tips I got was add the acid (lemon juice or vinegar last) & make sure the eggs & all ingredients are room temperature. I have been making mayo for about a month now in the food processor. On Bread For Sandwiches. In Egg Salad..That’s About it. Eggs like uncooked or do you hard boil them first? Sorry may be silly question? Carla, raw eggs. It helps form the emulsion. No silly questions here! 🙂 Use pastured eggs from a reliable source and you shouldn’t have to worry about illness from consuming raw eggs. Hope this helps! Do you think I should leave my eggs at room temp first? I’m attempting for a 3rd time! Oh no Karen! ;-( I have used room temperature and eggs right out of the fridge so that part doesn’t matter. What are you using to make the mayo, food processor?? The only way I have made fool proof mayo is to use my food processor (I use the small bowl inside the big bowl) and allow the oil to drizzle in through the hole in the top. Melissa, yes I am using a Cuisinart food process so, I’m more inclined to think it’s ME that isn’t doing something correctly. It took probably 3-4 minutes for the oil to pour so, maybe I should slow it down even more. Should the pour of the oil be a constant slow pour or can I add a little at a time? Once all the oil is in, how long do you think it should continue to process? thanks I’m just not sure how long. Did I over process it? Is that possible? I couldn’t get my response to post your your last comment so here it is: Hmmm. Place all the ingredients in the food processor except the oil. Turn on the food processor and then let oil drizzle in. As soon as all of oil has drizzled into the food processor, you can turn it off. It should me nice and thick! It is possible (maybe) that you over processed it… this is a guess. I promise, once you’ve got it, you’ve got it! Keep me posted Karen! Be sure to use the small bowl too! I know this is a few months late but I have made paleo mayo many times in the last few months and I find the easiest way to get it all to come together is to use my regular blender. I also use a turkey baster to slowly drip the oil in from the top of the lid where the middle removes to add stuff. This has worked every time for me, if you haven’t got it down completely yet try this way! Made it for the first time 2 days ago and it was wonderful. Smooth, creamy and delicious. Made my chicken salad with it and was yummy! Surprised it was so easy! This is my second post. Even though I didn’t have any problems making the mayo, the problem I’m having is when I mix it to make chicken salad it becomes watery. Is there a trick to avoid this? Monique, I have never heard of that happening, hmmmm…. I’ll post on my FB page to see if anyone else has insight. So the mayo was thick like mayo should be and then when you added cooked chicken, it became watery??? Yes, the mayo was nice and thick. I put cooked diced chicken, celery (I dried it really well) and curry powder. The first time I made it I didn’t eat it right away so refrigerated it for an hour and it was very watery. The second time, I didn’t mix the mayo in until I was ready to eat it and as I was eating it became a little watery… as if the oil separated. Monique, the only thing I can think is that the salt is pulling moisture out of the chicken and celery. How long did you let it is?? This does happen with any mayo based “salad” when refrigerated but I am not sure about the oil separating. I just posted the question on my FB page so check it out and we will see if others have any ideas. 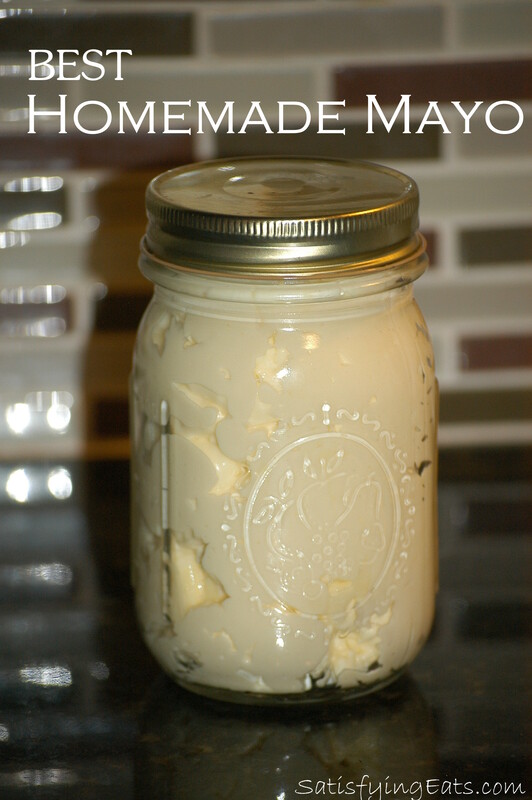 I haven’t tried this recipe for homemade mayonnaise, but I have made homemade mayo before. The key is to add the oil V_E_R_Y slowly. Seriously, it might take 10 minutes just to add the oil. If you’ve added all your oil and it just doesn’t want to work,add a bit of BOILING HOT water while blending – try a teaspoon at a time. I’m don’t think my family could get through two cups of mayo before the egg would go bad. If I halve the recipe, will it still turn out? Rachel, yes, you can half the recipe. Help just made it and its gone yellow and tastes awful all I can taste is the oil what did I do wrong i tipped the oil slowly over ten minutes. Rebecca, what type of olive oil did you ues?? haha just read it yes used the wrong oil have tried again with light olive oil but still tastes quite oily is this just how it tastes. Rebecca, it should taste and look creamy like mayo. I’m not sure what went wrong. Reread the directions (and all of the notes) once more to see if you missed something. It taste like Blue Plate to me! 😉 Good luck! Will any brand of light olive oil work? What brand do you use? I want to make this mayo. Just me and my husband now…so how long will it be good? Grace, I have never had it go bad and have had it about 3-4 weeks. I think it just depends on how fresh your eggs are. Hope this helps! You can always make half a batch. Can I use plain eggs from the store or is that not safe? Rachel, I have used store bought eggs but technically ones from pastured chickens are safer than the mass produced eggs. I didn’t have pastured eggs only organic free range ones so I flash boiled them for 2 mins. Will that be safe? Erinn, I have never flash boiled an egg before using it to make mayo but if you are using organic free range eggs, that should be fine. The chance of salmonella is VERY, VERY slim! Didn’t work for me at all. Used fresh eggs from my chooks and locally made olive oil. Tasted way too oily and nothing like mayonnaise. Too much oil added unpleasant bitterness. Seems like there is too much oil in this recipe…? Tiiu, the key is light olive oil. Local made olive oil would be great in other recipes but for mayo a mild even no taste oil is best or it will taste too strong. I don’t use mustard bc my son can’t tolerate it. Is there something I could use instead? Thanks! Ashley, I am not sure what other “flavor” to add. Mustard is just a traditional ingredient in mayo. You can try to omit it and add a little more salt perhaps? Again, I have never substituted anything for the mustard. A little bit of pepper and some spices like mint, oregano. Hmm…the most recent batch I made, I forgot to add the mustard. It still tastes delicious. But I miss the mustard… Won’t make that mistake again! I have made my mayo with my Cuisinart but truly, I prefer to make it by hand. I use lemon juice instead of vinegar and add it at the end. I just use a fork! The only secret is to have everything at room temperature and use egg yolks not the whole eggs. Love the texture. How does this mayo compare calorie wise to purchased? It’s probably about the same since the only real difference is the type of oil used but it’s still a fat and contributes the same amount of calories but using olive oil is better for the body than vegetable oils. For everyone saying you’ll need to add the oil super slowly over like 5-10 minutes, this may not be the case depending on the equipment you have. Our food processor has an emulsifier plate attachment and you can almost add all the oil right at once. We get perfect mayo out of it in only about 1-2 minutes. Yes, so many variations and I am sure it varies around the world. This one taste just like the one my mom used to buy as a kid. I like using the whole egg so I don’t have a random egg white in the fridge or freezer! 🙂 Yes, any acid would work. Made this evening- absolutely perfect! I’m a mayo aficionado and I used my food processor that has a small hole for emulsifying. I followed the recipe exactly, used a Dijon mustard and absolutely couldn’t be be more pleased with results! Thank you! I used avocado oil instead of olive oil. It turned out wonderfully! It tastes great! I used my immersion blender. Worked like a charm. Problems can occur when the eggs are not fresh. It helps if ingredients are at room temp. Also you need to beat the eggs for a bit until they lighten in color before adding anything. I use a hand whisk and it works fine … just takes more time, … but you won’t over process. Then the mustard, salt and only half the acid vinegar/lemon juice. I also use a pinch or two of sugar to offset the acid. When fully combined and light in color add only a few drops of oil at a time and whisk like mad. A few more drops and whisk like made until you see no sign of oil on the surface. Keep going until about 1/4 cup of oil is used. It should be rather thick at this point so thin with a little bit of vinegar/lemon juice. Then add more oil in a very fine stream whisk whisking. DO NOT LET OIL POOL or accumulate. I have done this on camping trips for making cole slaw or salad dressing and the scouts are amazed..
Quick question: I have been told only to use extra-virgin olive oil, as any other kind is not good for you. As a cook, what kind of oil do you use to make mayonnaise? It it true that I should avoid other kinds of olive oil, or was I misinformed? Thanks! 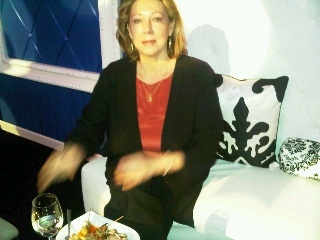 Laura, EVOO is a good fat but shouldn’t be used to fry or at high temps. I use light olive old to make mayo. It’s not perfect but it’s still much better than vegetable oils. You could use EVOO but the final product won’t taste good. I hope this helps! I was so excited to try this mayo recipe, I’ve been working on getting entire family GMO free and the cost of organic mayo blew me away! But my batch doesn’t taste good :-(. I am thinking one of two issues, what do you think? 1) I used organic sunflower oil and/or 2) I used a cuisanart stick blender that was very very hot by the time I finished (it took me 7-8 minutes to mix adding the oil slowly. Was my oil a bad choice? Does heat ruin it? Sue, in my opinion, for the mayo to taste good you must use light olive oil and I had the same experience you did with a stick blender which is why I used my food processor. I think the oil was your #1 mistake. Get some light olive oil and it will make all the difference. Can u explain how would u do it using a immersion blender please! Lily, it’s been years since I used an immersion blender and there are a few different ways to do it. Some people just put all the ingredients in a jar and turn on immersion blender and it turns into mayo almost instantly. Google immersion mayo and you should be able to use my ingredient list. I hope this helps! My husband and I followed your recipe to a T. We put all ingredients in my kitchen aid blender and mixed together then started adding oil. It tastes oily and runny. I don’t have a processor, but the blender should do same thing except maybe the speed. How fast is your processor? Do I mix the first ingredients together 1st or just put in and then start adding oil??? I did add light olive oil very slow… HELP!!!! Jackie, add all the ingredients except the oil to blender and drizzle in the oil in the top, slow is key! I use my food processor bc it has the tiny hole that drips the oil. 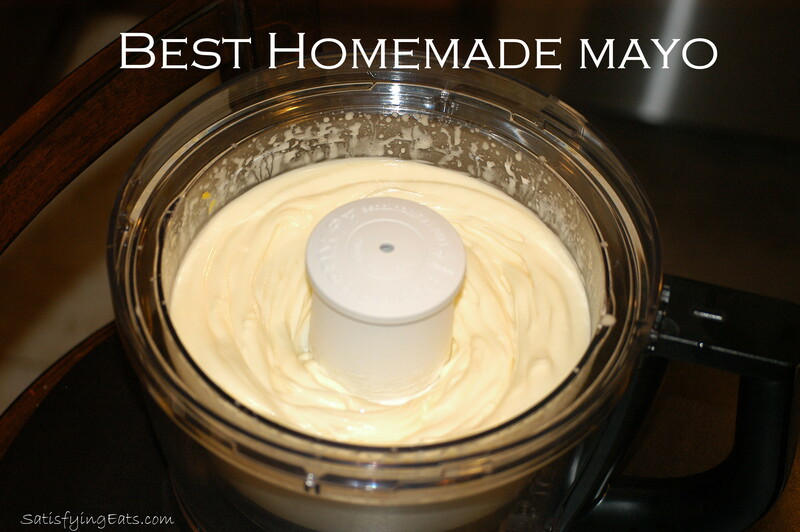 I have never had my mayo break with this recipe and using my food processor. Better luck next time. You and Dr. Davis (Wheat Belly) both call for ‘light’ olive oil. I only have EVOO. Is that ok to use? I have a very small kitchen and only have room for so much ‘good’ stuff:) Also, what is the reason for the light rather than the extra virgin? Thank you so much. Your recipes are really helping me stay on track. Just made this mayo and I’m glad I did it has a nice creamy wonderful taste, two whole eggs yolk included, also a more stronger olive oil and my mayo is nice a creamy, also the vinegar with mother my mayo is great I had no problems so just a note take your time with the oil so it blends perfectly other than that thank you for the great recipe. One word…NASTY! Tastes line olive oil! Will winit from now! Should have read the comments first! Gag! Hi Teresa, sounds like you used extra virgin olive oil and not light tasting. I did that last night. Used regular olive oil because that’s what I had. Used the light olive oil tonight. Best mayo ever!! Sorry to say – this was terrible. It was looking great until I started on the second cup of olive oil then it watered down. I followed this recipe to a “T”. It tasted horrible also. I recommend telling everybody an exact brand of olive oil to use, not just say olive oil because, like wine, there are too many varieties and flavors. I just wasted two cups of expensive olive oil which is the worst part of this. Going to go buy the store kind now. The only way this mayonnaise will taste bad is if you did not use light tasting oil. Not just plain olive oil, it must be like tasting. It really is delicious. I try to tell people in the recipe to use this oil but people think it’s just a small detail… It’s huge! Better luck next time. I LOVE this mayo! Thank you so much for posting! Hello – I have made this mayo many times. My family loves it! Last time I had a failure – very runny. The only variable – I tried an emersion blender. After several attempts in the food processor, I started over then slowly added the runny batch. Thankfully it turned out beautifully thick and creamy. I have used regular olive oil and a combination of avocado and olive oils – always delicious. I recently read a comment on another site – a woman added a teaspoon of whey (left-over from cheese making) to prevent premature spoilage. I added whey to my extra-large batch – so far, so good. Thank you for the recipe and your terrific site. Much appreciated. God bless. I am so glad you enjoyed the mayo Audrey! Thanks for this. Ill try this maybe i can do something to have this in a healthy way. Im on Keto diet and i think it wont hurt my diet if i try this. Im planning my Keto diet meal and ill add this up to my recipe. Jimmy, I hope you enjoy! Yes, it is perfectly keto friendly and so useful to have a healthy mayonnaise on hand! THANK YOU so much for talking about the lie of vegetable oils!! !